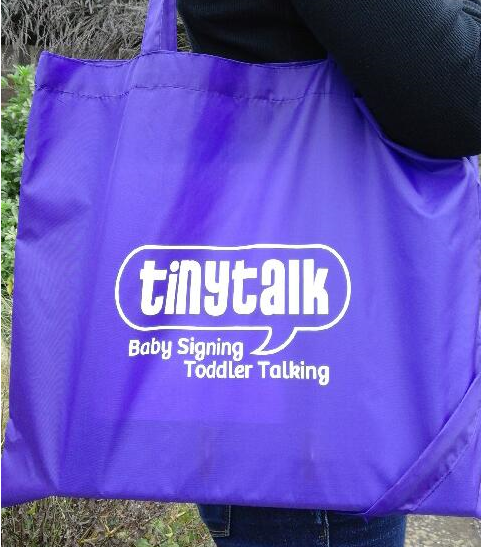 Pretty, Practical and Purple - the all-new TinyTalk eco-bag. It folds up small but is also very sturdy. Useful for shopping, helpful separating nappies from all of your other bag contents, or carrying your TinyTalk Baby Signing Pack.